The Marshall Micro Stack measures just 37 inches high and features 15 watts of sound and a built-in spring reverb. Twin gain controls are provided for the preamp as well as controls for master volume, bass, treble and contour. The MG15 has two speaker cabinets—one angled and one straight—each loaded with a 10-inch custom-voiced speaker. The amp also has a headphone jack, which mutes the load speakers when engaged, a CD input and line-out hack. Marshall MG15MSII Microstack is a complete Marshall stack that will fit into any room. 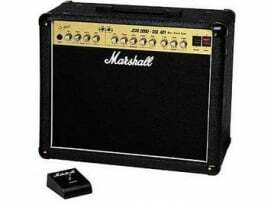 The amplifier is based around the MG15CDR and features two channels, spring reverb and Marshall’s proprietary FDD (frequency dependant damping) technology. 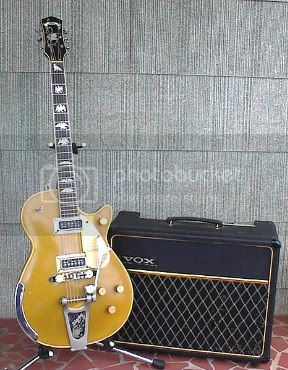 Supplied with two 1 x 10 inch speaker cabinets its looks and sounds great. 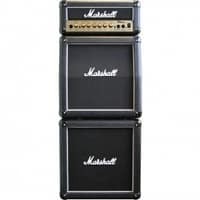 The dream of owning a Marshall stack has now become a reality! I was fortunate in that I had a lot of old trafsnormers to experiment with WITHOUT having data on them so I had to learn to figure out what they were by testing. That was invaluable experience. Generally, with a sine wave generator and a DMM you can figure out 99% of trafsnormers as to intended function and the necessary specs. Power throughput is generally a matter of weight, then you test for temperature rise to see if it’s what you need in terms of capacity. But it’s a lot of fun to read the manuals too-as long as you understand they were trying to sell trafsnormers! Ed Romney in his Fixing Up Nice Old Radios has some very useful catalog excerpts and comments. He is dead and I believe his widow is as well, now. I hope someone reprints his books.